Both cats and dogs can have a heart murmur. A heart murmur is an abnormal heart sound, usually heard by listening to the heart with a stethoscope. Your veterinarian will classify the murmur by it's characteristics, including the timing (long or short) and location (where they are the loudest). 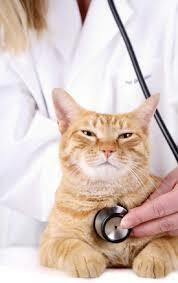 Depending upon the cause and severity of the murmur, your veterinarian will determine the best course of action. Pets with heart disease need a diet rich in Omega 3s and fiber but low in fat and sodium. Fish oil and lean protein sources are very beneficial. Power Probiotic- The best probiotic for pets! Backed by scientific research, this powerful multi-strain formula promotes the growth of friendly bacteria which can give your pet a healthier GI tract which may improve heart function and reduce inflammatory markers. Amazing Omegas - Absolutely the best fish oil available. Packed in glass bottles to prevent leakage of toxins from plastic into the oil. Purified for heavy metals and toxins and manufactured gently so that oils are in a highly bioavailable form, increasing absorption. Purrfect Pet CoQ10 - These softgels use an advanced technology that provides an efficient and natural method of nutrient delivery, offering enhanced absorption and assimilation. It is made with NON-GMO ubiquinol. Purrfect Pet CoQ10 is a powerful antioxidant which fights free radical damage. Purrfect Pet CoQ10 has proven benefits to heart health, enhancing blood flow, helping to lower blood pressure and protect blood vessels.